Welcome to the Great Granny Blog Hop of 2017. First and foremost I would like to thank each of these incredible fellow bloggers for being part of this hoopla. 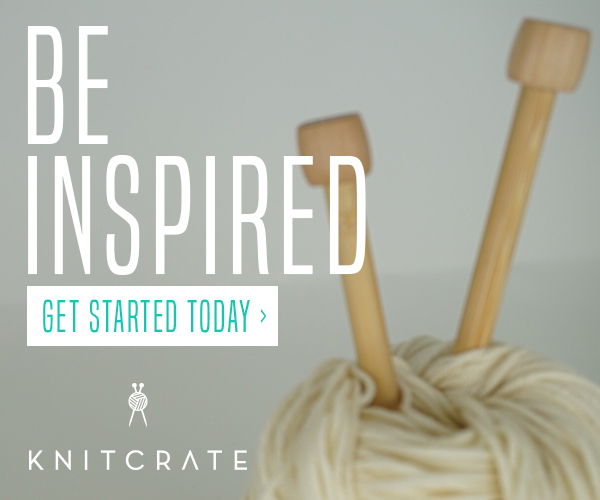 I cannot tell you my excitement to be hosting a blog hop with these inspiring gals! 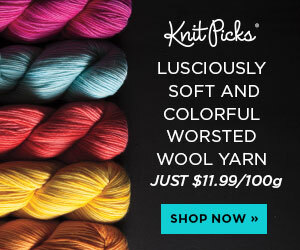 And next I want to give a HUGE thank you and shout out to Lion Brand Yarn for sponsoring this granny extravaganza. Not only did they provide each of us with the yarn we needed for our creations but they are sponsoring the HUGE giveaway for you to win. What can you win you ask? You can win ALL YOU NEED TO MAKE ALL 6 PROJECTS! WHAT?!?!? This is what I am saying!!! Now what exactly IS the Great Granny Blog Hop of 2017? Well… it is an exploration into that classic granny stitch. I admit, I was late to the Granny Square. I had already been making hats and scarves and such when a customer requested a traditional granny style blanket for a baby gift. I was a bit intimidated at first because it is an icon. The Granny Blanket is something you pass down for generations. And to be honest, I had never made one. So I did a quick google search and was so shocked by the simplicity of it. I started playing with the yarn and just loved the granny instantly. Now, I do my granny a little differently than most, I know. But it works for me. I use the more traditional method for my patterns though. Anyway - the customer loved her blanket so much she ordered another full size for a wedding gift! Meanwhile, I had started to fall in love with the Granny. I started experimenting with different ways to incorporate the Granny theme into other designs beyond the basic square. This led me to the Ella Hood Scarf (free pattern here) and my Wonderland Shrug. I started to love the good ol’ Granny in a whole new (less intimidating way). So then I got the idea to team up with some of the amazing fellow bloggers who inspire me for the Great Granny Blog Hop (see what we did there) of 2017! Each of us has created an incredible fun pattern with a new twist on the Granny. 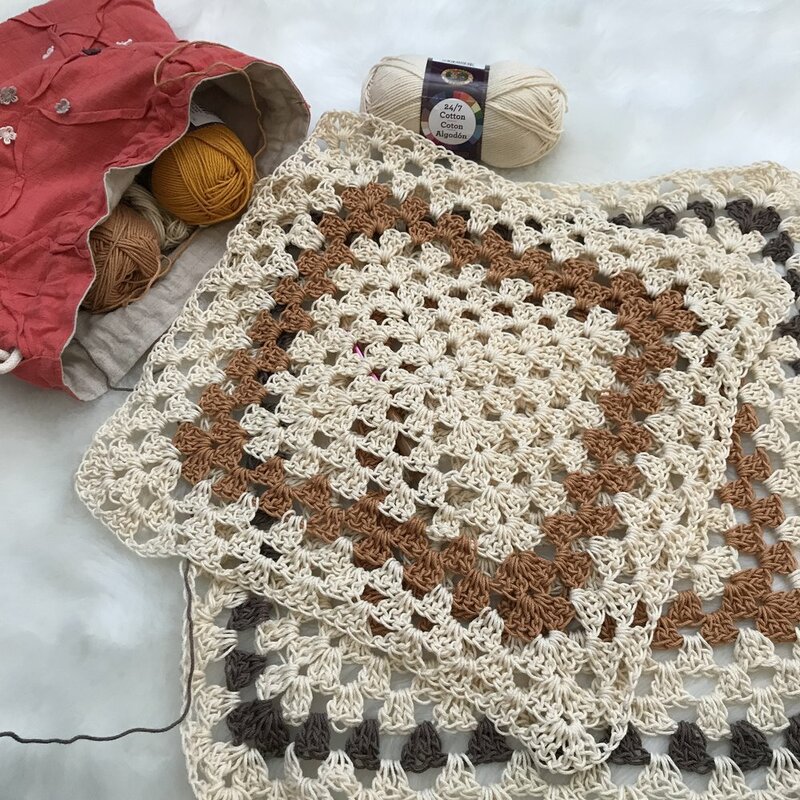 It is such an incredible thing to be able to take something classic and timeless as the art of crochet itself and give it a new spin with our own personality. I am honored to have teamed up with these gals for this project. So check each blog out and enter below to win all you need to make ALL SIX GRANNY PROJECTS from Lion Brand. For my project I wanted to take a new twist on the classic poncho. I had already fallen in love with Lion Brand 24/7 Cotton from my Summer Cottons Collection and new it would be perfect for a fall themed poncho. It is also a great weight fiber for transitional weather so I knew it screamed Fall Cozy and would be ideal for this project. And it comes in FAB Fall Colors!